Grapeseed Oil is one of the lightest oils found in the natural world, making it a wonderful emollient, perfect for massages and more. This all-natural oil is also a healthy alternative to butter, making it perfect for cooking, baking, sauteing or any of your culinary creations. 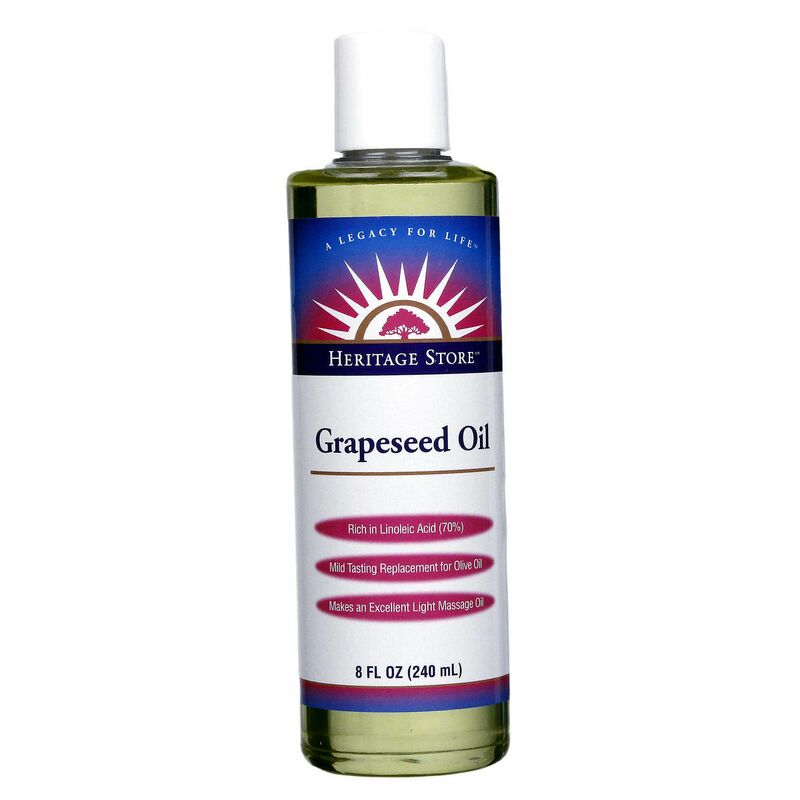 Nourish your body and give your cardiovascular system a helpful boost with Grapeseed Oil by Heritage Products. Order now for the best price! 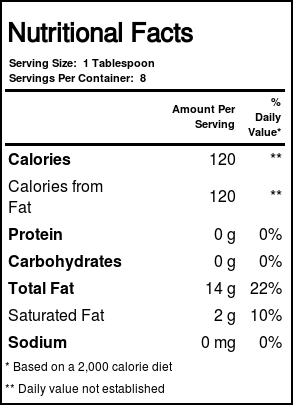 Notes: This product is not hydrogenated and contains no trans-fatty acids or preservatives. Certified by periodic laboratory test to be free of pesticide residues. Country of Origin: Primarily Spain or Italy, possibly Switzerland or France. Grapeseed oil has a high level of Vitamin E causing it to be very stable under high temperatures. It can be heated to 485 degrees with no smoking or burnt taste. Versatile grapeseed oil enhances the flavor of any food and is excellent for salads. Recommended Use: Use as a massage oil, or as a cooking oil that is a healthy alternative to butter. 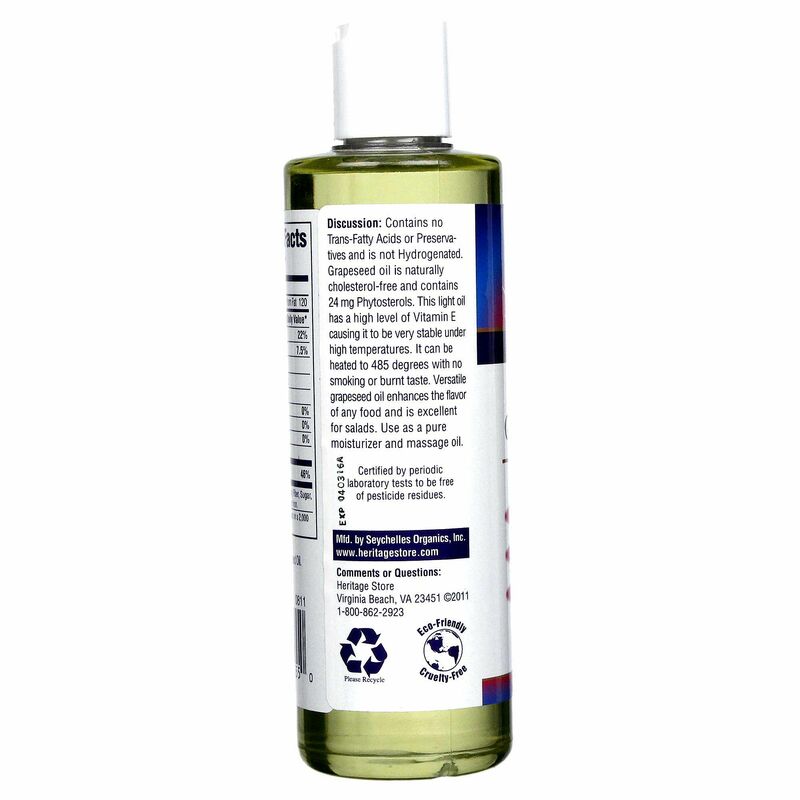 The customer reviews posted below are based on individual consumer experiences and may NOT necessarily represent what expected results will be from using or taking Heritage Products Grapeseed Oil - 8 fl oz. These results may not be typical and you should not necessarily expect to receive the same results. Actual results may vary. 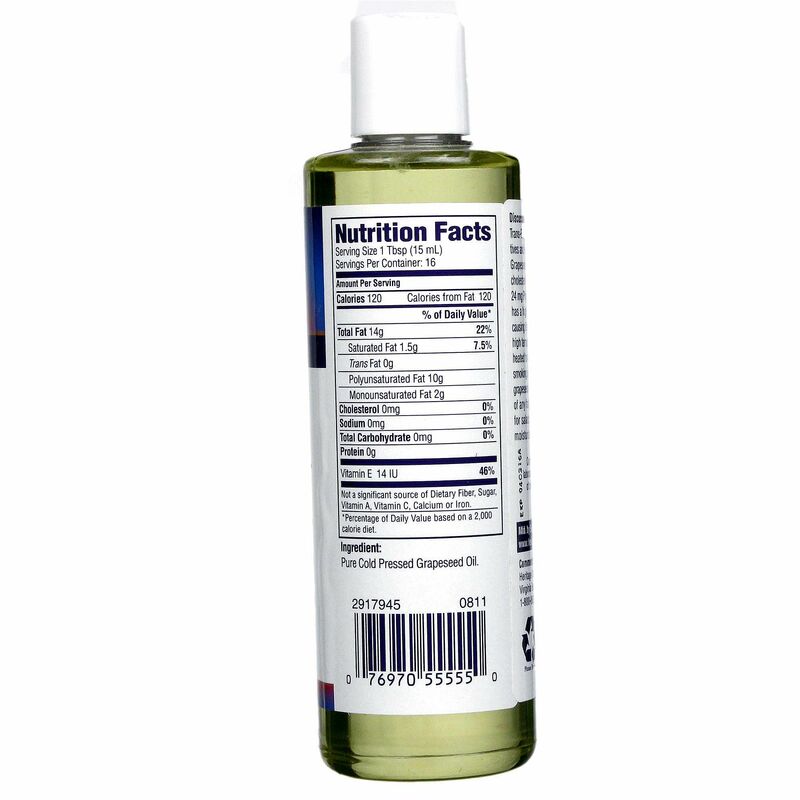 Grapeseed Oil is great for frying, salads and on the skin and hair. Also great as a sunscreen. Heritage Products makes the best grapeseed oil. You can use it as a massage oil, sunscreen, for frying food, on salads, hair, bad skin and it does not clog my pores like Vaseline does. Love that the bigger sizes come in a dark glass jar. I love to fry food with this healthy oil. It is also great on salads and can help with skin problems. I also think that Grapeseed Oil can also be used as a natural sunscreen.